It was my first cruise on a yacht on the open sea and there were only two of us – myself and captain Jacek Pasikowski. I was helping Jacek take his small yacht Fri (‘Free’ in Danish) from the coast of Sweden to Poland, across the Baltic Sea. 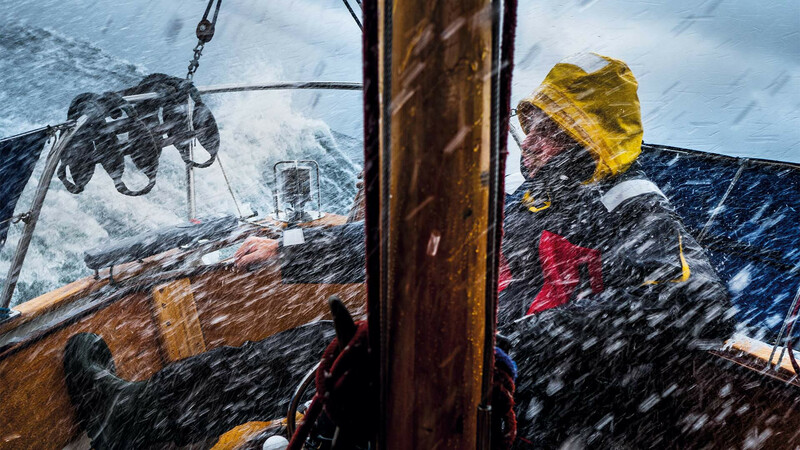 It was a stormy day, but the captain – who has more than 40 years of experience sailing in open seas – remained completely calm and relaxed, even though waves were breaking over him every few minutes. While taking this picture I was hiding partly below a folding canvas roof; scared, but pretending not to be. I love bighorns, and Sierra Nevada bighorn sheep are extra special because they are an endangered species. We had a harder time finding rams during our visit to their area this winter, but just as the light was beginning to fade I spotted this ram standing majestically on a high ridge. Photographing at -25°C is always a challenge and I was afraid I wouldn't have time to get my camera on my tripod before the ram disappeared from view. Instead, I leaned my camera against a solid support as I framed up my shot. 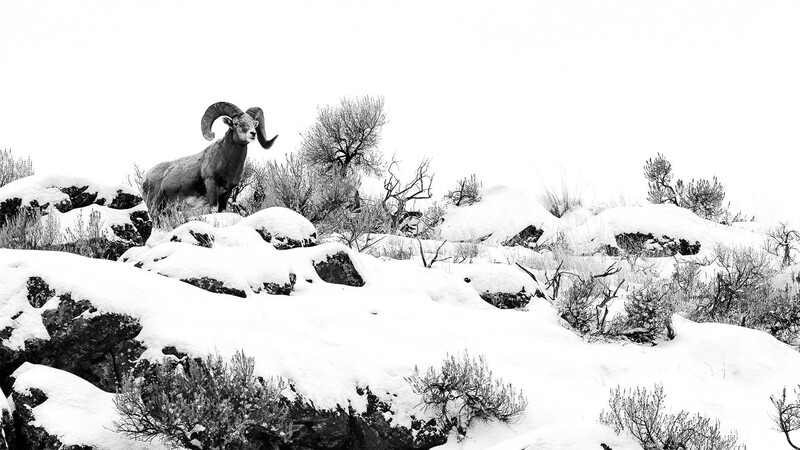 I loved all the snow and sagebrush and knew immediately that I wanted it to be black & white. 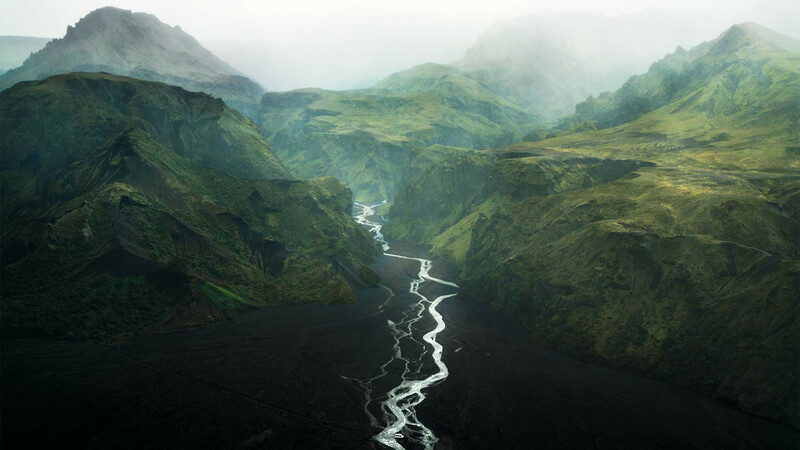 After a morning full of drama, during which we almost 'drowned' our car in a river – and then pulled out a young Frenchman who had done exactly that – we reached Thórsmörk, in the south of Iceland. We walked up to a viewpoint where we could see… exactly nothing, due to the fog. We waited, and eventually the fog started to lift, but I still needed to wait a lot longer for a car to appear in the perfect position to add a sense of scale to the mountain landscape. 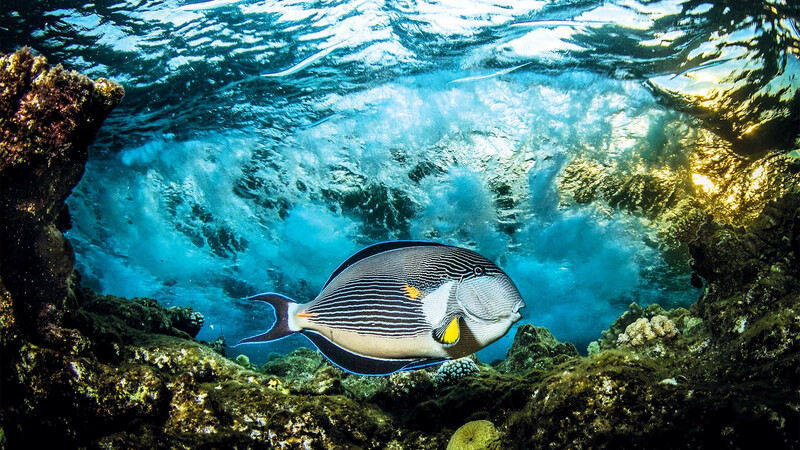 In the summer months, sohal surgeonfish tend to mate and lay eggs on the top of the reefs in the Red Sea. They fiercely defend their egg patch and rush upon anything that invades that area. They will often swipe their tail, which has a bony protrusion sticking from it that can be as sharp as a surgeon’s scalpel, towards the intruder. Because of this you need to make sure you don’t get too close as a photographer’s hands make a very easy target and often get cut. I originally captured a similar scene to this during a flurry of unexpected snow in April 2016. 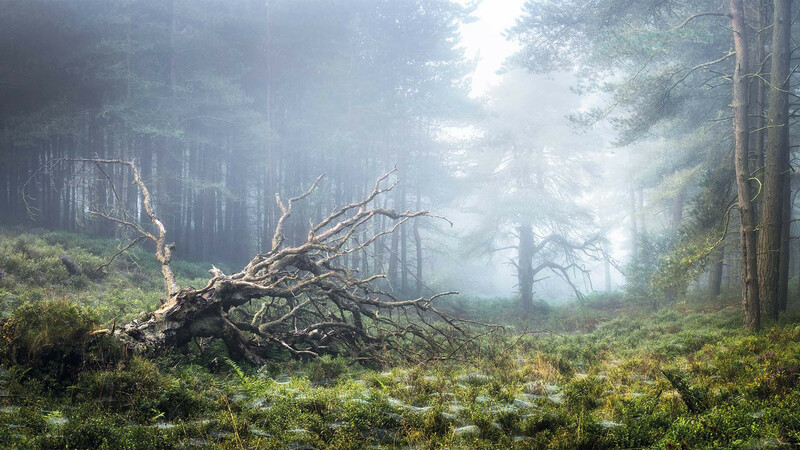 It’s typically the first spot I come to when exploring this private woodland, and I couldn’t help but capture it again when I was treated to these wonderful – but rare – conditions of mist with a hint of warm light as the morning sun tried to break through. The combination of the damp cobwebs, fallen birch, dominant old pine and the soft light filling this atmospheric and shallow valley makes it a favourite spot of mine for solitude. 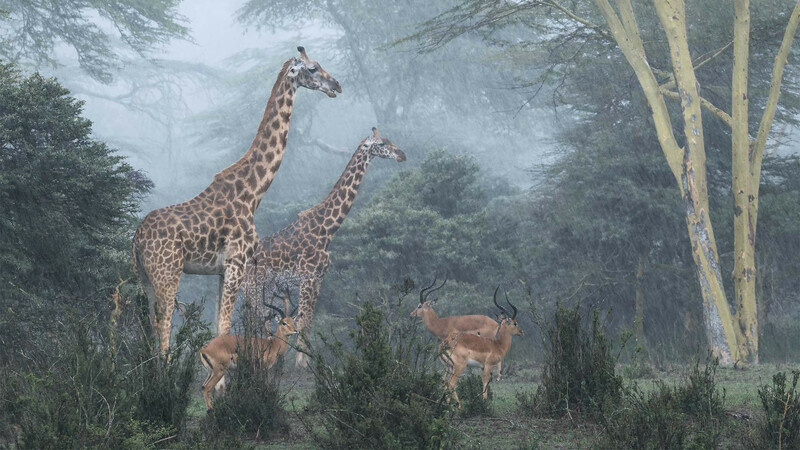 This image shows two giraffes and three impalas in the rain in the forest region of Nairobi National Park, Kenya, which is also home to the Athi lion pride. I have observed these lions hunting many times in the rain, which possibly explains why different species of preyed animals stay together; it's a defence mechanism, so they can collectively sense predators better. In this case, however, the lions were far away. The photo was taken from inside a 4x4 vehicle, and the major challenge was keeping the camera and lens dry. The asparagus plant in my garden – which has become a bush and produced berries – is a haven for wildlife. I normally look for spiders in it to photograph, but on this particular evening, after a rain shower, it was covered in tiny snails. 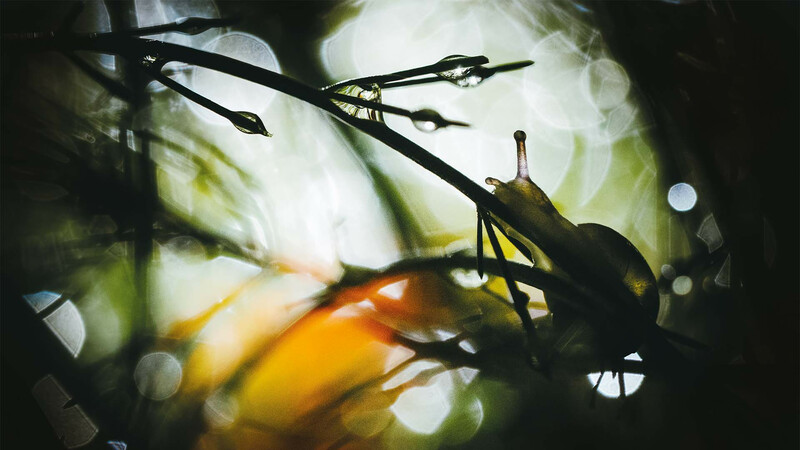 The light below is from a backlit asparagus berry; I always try to visit after a rain shower, as I find backlit droplets bring the images to life. It was just before sunset in Chiang Mai and I decided to ride my scooter alongside the famous Ping River. As I was approaching a bridge I stopped to take a break and noticed that it was a motorbike bridge for locals, connecting two villages. 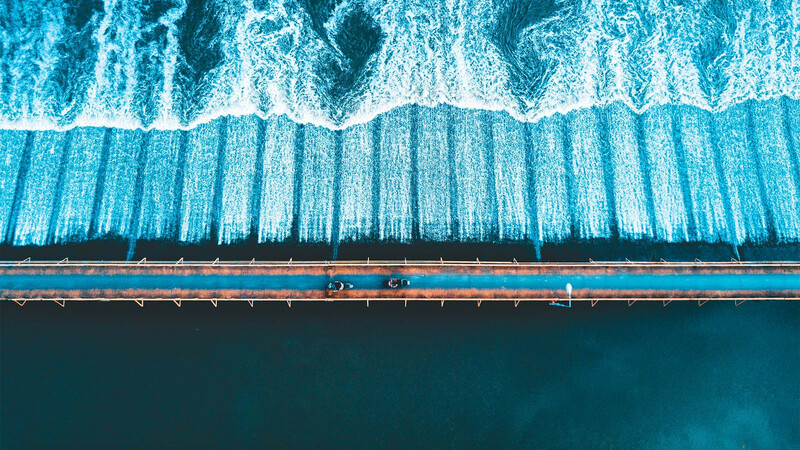 I took this aerial photograph with my drone to document the incredible patterns in the river and the locals crossing the bridge on their scooters. Some days you just capture the moment. Kangerlussuaq airport is the largest airport in Greenland, so it is not only a busy hub for domestic flights, but also the main arrival point for international travellers. 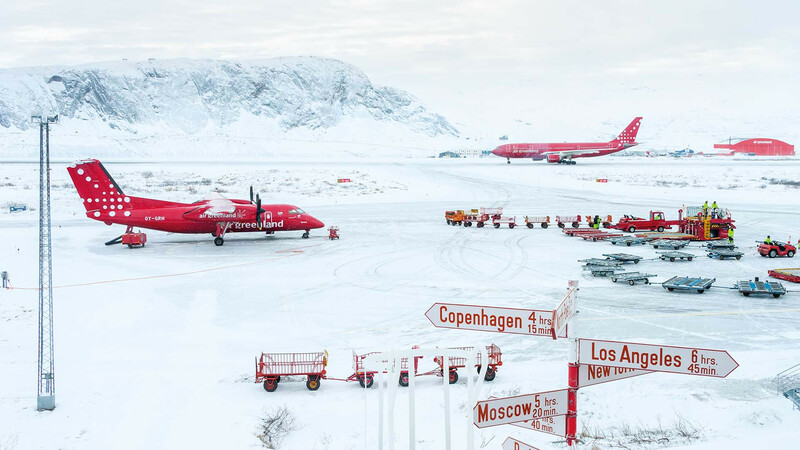 Air Greenland has a near monopoly on flights, so almost everything is in the company’s bright red colours. It was the simple colour palette of this scene that appealed to me, including the signposts that are apparently directing the planes to their destinations. My departure had been delayed by three days due to bad weather on the coast, so seeing the arrival of the plane that would return me to Copenhagen was welcome. It may not look that way, but the end of winter was near and within weeks the snow would have cleared. Yep, it's time for the Outdoor Photographer of the Year shortlist, and once again this year's crop is a good'un, taking in everything from the very epic (and very foggy) Valley of Thor in Iceland to the serene wildlife of Kenya's Nairobi National Park. These are the world's most remote places, captured by the most intrepid, risk-taking photographers out there (including one who's just 12 years old, so shame on you if you're older than 12). Whether it's risking your life out on the stormy waters of the Baltic Sea, or taking a plunge into -25°C conditions to snap a bighorn sheep in the Sierra Nevada mountains of America, you better believe these lot will do it. Because they're so inspirational, and because their photos are so damned good, we've asked each shortlisted photographer to share the story behind each shot, for your reading pleasure. From drone photographs of remote coastal roads in Thailand to the mysterious forests of North Yorkshire a little nearer home, click through, gawp a little, and enjoy.